“It is the process of enzymatic breakdown of protein, normally conducted in the GI tract (stomach and small intestine). Enzymatic hydrolysis can also be performed outside the human body, and this is how whey protein hydrolysates are processed. Food-grade enzymes are introduced to whey protein concentrate or isolate thus reducing the size of the protein molecules, called peptides. 1. The DofH and % is so low it could potentially hurt sales. These companies may be selling an inferior product and hoping their brand name will carry them through. 2. Usually the companies claim that it is proprietary competitive information…while this may be true, its odd then that most other companies provide the DofH/% peptide. “Hydrolysis is the breakdown of a chemical linkage between units of complex molecules to yeild smaller molecules. This involves enzymes called Hydrolases with the addition of water, which catalizes the reaction of the breakdown of the complex molecule. The hydrolases used in the breakdown of protein are called proteases. 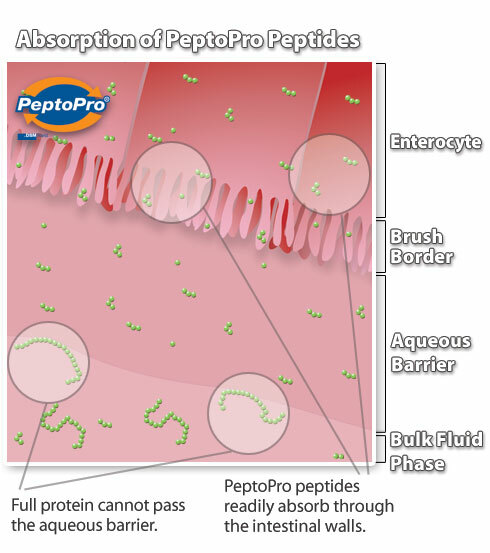 In the production of making peptide isolated protein the proteases used in the manufacture are identical with the same enzymes we produce in our digestive system to breakdown protein. The difference is the manufactured method is all controlled where as in our digestive system it is not. This is where the terms, Degree of Hydrolysis- ( DH ) and Percentage of Hydrolysis- ( % Hydrolyzed ) come from as this is the measurement of the methods used in the contolled process of manufacturing protein. Percentage of Hydrolysis simply means the percentage of the protein which has been acted upon by the enzymes in the hydolysis process. If a protein is 50% hydrolyzed it means that the enzymes were able to act upon half of the protein before the process was stopped. 100% Hydrolyzed means that the enzymes have been able to act on all of the protein during the hydrolysis process. Any percentage of hydrolysis below 100 is termed Partially Hydrolyzed. Marketing wise you can use this figure to promote the amount of hydrolyzed protein in the container. 100% Hydrolyzed would then mean that the container only contains hydrolyzed protein and nothing else. Any other value would mean that other ingredients have been added into the protein, i.e.other protein or extra amino acids. The higher the percentage, the more peptides the protein will contain, but the size and bio-activity of those peptides is determined by the Degree of Hydrolysis. 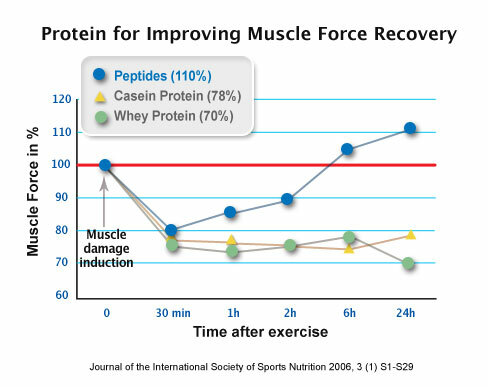 The higher the peptides, the more efficient the protein will be absorbed into your body. 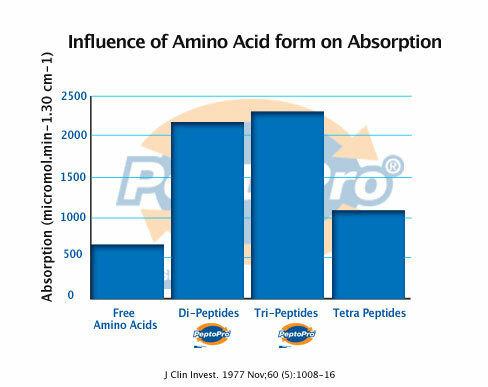 1) Di- and tri-peptides have up to 3x greater absorption than either free-form amino acids or longer chain proteins. 2) Free-form (i.e., single, like your favorite BCAA or arginine product) have the worst absorption of the group. Both Acid and Heat hydrolyzation can denature the protein molecules thereby leading to an inferior product. Ideally the protein is hydrolyzed enzymatically. “There are four blood type groups: O, A, B, and AB. The majority of people are Blood Type O. Next comes Blood Type A, then Blood Type B; and, Blood Type AB is very rare and has only been around for about 1000 years. Less than 5% of the world’s population have Blood Type AB. There exists some generalized circumstantial evidence via Dr. D’Adamo and the blood type diet that people with Blood Type O have the most stomach acid and therefore are better adapted to consuming protein and therefore have an easier time digesting protein. People with Blood Type A on the other hand generally have the lowest stomach acid levels and generally have a more difficult time digesting protein. People of blood type B and AB fall somewhere in the middle. This could have an effect on the some of the perceived benefits of consuming hydrolyzed protein. It would stand to reason that people of Blood type A may benefit more from hydrolyzed protein than those that are blood type O. Through an informal survey of friends I found that most that were blood type O had stomach’s akin to a bottomless pit and could devour almost anything with no issue. Blood type A’s generally had more issues, but there always a few exceptions just as with anything else in life. What is the most superior and best quality hydrolyzed protein on the market? (Ignoring taste and value) Right Now I am leaning towards the ASN HP-100, with PeptoPro a close 2nd. Ideally I want something that does not have added sucralose, color, Artifical Flavours, Acesulfame Potassium and other potentially harmful and nutrient deficient chemicals. The ASN HP-100 has artificial flavoring and sucralose which makes it less of an ideal choice. In addition some of the marketing claims behind it seem to be BS. It’s an Australian product, yet the protein inside comes form the USA!? Go figure. In the end I settled on PeptoPro ordering it from http://www.trueprotein.com/. It seems to be by far the most superior hydrolyzed protein on the market. The stuff tastes incredibly bad, and I suggest starting with a small quantity and mixing it with an acidic drink like pineapple juice initially in order to acquire a taste for it. The first 2 days I thought I was gonna vomit drinking it, but now I seem to be fine and mix it with grape juice, as a post and intra-workout drink. Initially I was going to use hydrolyzed protein as my sole source of non-dietary protein however this does not seem to be a good idea. In order to get the benefit from a high protein diet you want amino acids releasing into the bloodstream over an extended period of time…ideally close to 24/7. This prevents your muscles from going into a catabolic state. Thus slower digesting proteins such as whey and micellar casein are better when a full stomach is not an issue as they release amino acids over a longer period of time keeping your muscles in a net anabolic state.